PD Buddy Sink is a smart power jack for USB Power Delivery. Configure it with the voltage and current your project needs, then plug it into any USB PD power supply with a high enough power capability. It negotiates with the power supply and turns on its output, giving your project up to 3 A at 5, 9, or 15 V, and up to 5 A at 20 V. With the latest firmware release, the Sink can also make requests from USB PD programmable power supplies, providing any voltage from up to 4–21 V at 20 mV increments. PD Buddy Sink is simple to configure. Just plug it into a computer while holding the Setup button, and connect to the USB CDC console interface. Alternatively, use the (still experimental) configuration GUI. The configuration interface works with Linux, Mac OS X, and Windows 10. All units ship with the latest stable firmware (1.2.2), supporting Power Delivery negotiations while in Setup mode. To use this feature with an external power supply, I recommend adding a PD Buddy Wye to your order. The latest release also supports making requests from USB PD programmable power supplies (PPS), which offer voltages at 20 mV increments from a wide range (up to 3–21 V is offered, but the Sink can't run far below 4 V). Note: Power supply, USB Type-C cable, voltmeter, and breadboarded example circuit not included. One day I was digging through a box of wall warts, trying to find one that would work for my latest project. 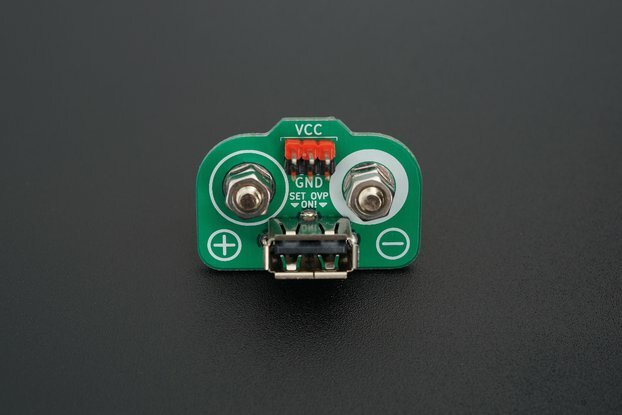 I needed one with 12–16 V output at no less than 0.5 A, and with a reasonable output connector. Untangling cords and checking labels was taking a while, and I started thinking. “If I could use USB Power Delivery, I wouldn't ever have to do this again.” Since USB PD power supplies can provide a multitude of voltages at sizable currents over a USB-C cable, all you'd need is a little circuit board that takes the place of a power jack and tells the power supply what your project needs. I searched the web, and to my surprise, no such device was available! I realized I'd have to make it myself. To the best of my knowledge, PD Buddy Sink is the first complete device that allows any hacker, maker, tinkerer, or electronics hobbyist to easily power their projects from USB Power Delivery. I woke up in the middle of the night a few days ago and my overactive brain wouldn't stop. I thought about being able to power all my DC gear via USB-PD, I just needed to design a circuit to negotiate the desired output. I grabbed my phone and did a quick search, this is where I landed. I bought two right away. The PD Buddy Sink is very well designed and executed! I am now charging ham gear via various USB-PD sources, I cannot wait to 3D print cases and add this to my daily gear. I am seriously impressed and grateful. I hope a future revision has dual USB ports for either passthrough or configuration. Thank you! 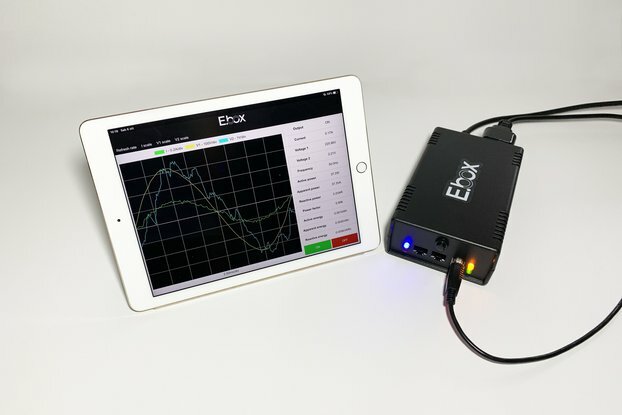 I use it in combination with a USB-C PD powerbank / power supply and a DC-DC power supply to generate any voltage I might need; even while traveling. I like everything about this tiny board! Thank you! Just configure the output voltage to 20V 2.25A to suite with my laptop charging port (barrel jack), very easy and straightforward to do using his available documents online. nice product! This is a great little hack/toy/product that I'm already heavily utilising on a daily basis. The documentation is great, and Clayton has great support as well I reached out to him a bit about a few things, and commented some feedback publicly, all met with responses. +++ would order more if I needed, but with 7 of them I think I'm good forever. Thanks again! Hi Clayton. I just want to say thank you for the PD Buddy. Exactly what I was looking for. Small PCB, perfectly crafted and USB connector made by Amphenol. I built an Pigtail-Adaptor to power my Thinkpad X230 via USB-C @ 20V. Works perfectly. Kind regards from Germany. The hardware works really well once configured for a specific device. 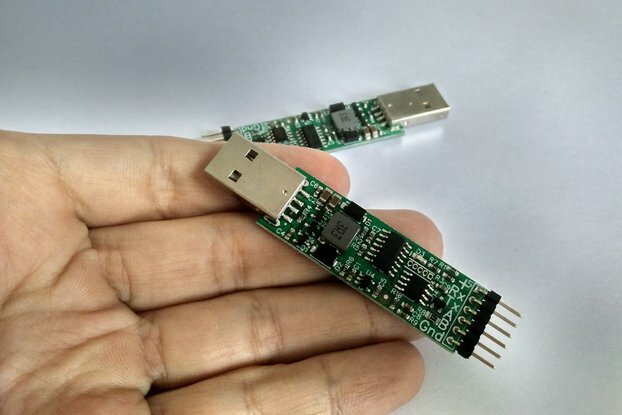 However, it may not be a great option if you need to plug into a variety of different USB PD sources without reconfiguring. I got it reliably functioning with an Apple 87W brick and a 30W Anker 26800+ battery bank, but in this configuration it would not negotiate reliably with another Apple 29W brick or an Anker 30W wall wart. There doesn't seem to be a way to make it gracefully try a few different power configurations or fallback to other configurations. Ideally I'd be able to throw any 30W+ USB PD source at it and get current in the range of my downstream device, but as it stands I need to carry one of the two very specific devices I managed to get working. Unfortunately, many chargers don't follow the USB PD power rules, so it's true that one configuration of voltage and current might not work on another charger with the same advertised wattage. Of the chargers you listed, my research shows that only recent versions of the Anker 30W charger (model numbers ending in 112) follow the power rules, with all the others violating them in some way. You could still get power from all of these chargers though, by setting a range of voltages that the PD Buddy Sink can request. See the documentation on voltage ranges and alternate configuration types starting at https://git.clayhobbs.com/pd-buddy/pd-buddy-firmware/src/tag/v1.2.2/docs/console_config.md#voltage-ranges for more information. Had a problem with delivery (Autofill mashed two different addresses together and USPS tried to deliver it) but it all got sorted quickly and professionally. I'm using this to power my TS100 soldering Iron from a 60W USB PD charger from Monoprice or a 30W power bank, both work quite well which means that's one less charger I have to carry around. I'll probably end up buying more of these at some point, quite useful thing to have. The only complaint is that it's a bit bulky, I'd rather it be smaller so it would fit "in-line" with the cable. Works great, and programming is effortless, just connected to my PC and loaded up Putty on COM6 and presto, console! A couple gotchas on the firmware, when you connect it doesn't pre-load the existing config to the tempcfg so each time you connect you need to reprogram every single setting to change one thing. The only other feature I would look to have is to activate programmable over-current and over-voltage behavior. This is a great power converter board with endless uses. So far I have made a few different things with them - a 12-15V Anderson PowerPole adapter for ham radio gear, a 20V laptop charger adapter, and a test rig for analyzing the performance of USB-C cables and chargers. With the updated firmware you can also specify a range of voltages instead of a single voltage which makes it very useful if your device can accept a range of voltages (e.g. things that run off car power can usually take 10-16V so you can select 12-15V). Configuration is easy as pushing a button and plugging into a computer, you input the desired voltage/current using a simple text interface which is explained in the documentation. With the Wye adapter you can also use a computer to determine what modes a power supply supports - sometimes they offer more voltage selections than they advertise it seems. Firmware updates on the ones I got required bridging a contact to enter update-mode but that was fairly easy, the only difficulty I had was some dependencies to compile the new firmware. Newer versions allow firmware-update to be entered thru a software command without any jumpers. For my uses of this board I've designed a 3D printed case for these boards and posted it on Thingiverse. Purchased this little programmable power adapter to power some portable testing equipment previously requiring a proprietary power supply. The PD Buddy Sink allowed me to easily configure the it to the voltage and amperage I needed. Now I can run the device off any USB-C PD jack, keeping me mobile. The inventor/seller has been very responsive and patient in helping me with any questions I had. I plan on purchasing many more of these in the future to help cut down on the wire clutter. I created a USB-C to Dell XPS adapter using this board. The only thing I had to do was to choose the desired voltage using serial console - the process was easy and straightforward (I haven't even read specs). I 3D printed a small case, soldered wires and now I can power my Dell XPS with a USB PD charger. I'd convert a few more things to USB C if the board was cheaper. I have not used all the features yet, but I did test the 9V 2.0 output configuration and it worked flawless. I used a USB A-to-C cable to connect it to a Raspberry Pi. I installed the "cu" program and connected with "cu -l /dev/ttyACM0 -s 9600" command. Typed 'help' and got the menu. I used the pyserial module to bring control of the port into python. One improvement that could be made to the board would be to have a micro USB connector that could allow for the WYE functionality. I presently use a QuickCharge 3.0 wall adapter and a MCP4812 two channel DAC to get custom voltages using a SPI interface, but wanted to test a USB PD 3.0 PPS adapter using the PD Buddy Sink. Great product, no issue so far, did not need any documentation or communication yet. Edit: Created the Wye function by modifying a type C cable (cut the D+ D- and connected them and GND to a separate USB A cable which connects to my RPi). Was able to query the adapter realtime, set the output on/off and set the new voltage. Edit2: The output pad (GND and PWR) hole pitch is smaller than 2.54mm. FYI. I needed to bend my 2.54mm pins to solder it down. Works flawlessly in combination with an Aukey PA-Y10 and a RAVPower RP-PB058. It's smaller than I expected. I found it a little bit hard to bridge the solder pads for upgrading the firmware, but this shouldn't be a problem anymore for new units that ship with the integrated software flash-mode. The configuration process was fast and worked well as described in the documentation. Lastly i tried to protect the board with insulation tape, but I'm still looking for good ideas how to do it right. This wonderful little board works as advertised. I bought it to reduce the number of chargers that I had to take with me when I travel down to 1. Sadly all my devices do not USB PD and several take different voltages, so something like this is a must. My laptop is 16V and portable projector is 12V, so this device is a must-have for traveling light. Setup was simple. I found a suitable cable with barrel jack, found polarity, and screwed the wires down to the screw terminals. After that I plugged a USB-A-C cable into my laptop and the PD Buddy Sink while holding the Program button, then connected to the serial console that appeared on my laptop. After programming the voltage and current I was able to charge my projector! I am eagerly awaiting another unit so I can use it to charge my laptop as well.